The trip back from DCCX was done and dusted in the blink of an eye. I arrived on Tuesday morning, went to the office, laundry/repack, another busy day on Wednesday, and then off to the airport on Thursday! To further complicate matters, I also had to pack for a 30 degree temperature drop that was coming through the Ohio Valley just before I arrived. I'm not bemoaning all of the chaos. Afterall, it's part of the gig. But one thing is for certain, I'm getting pretty damn good at logistics! 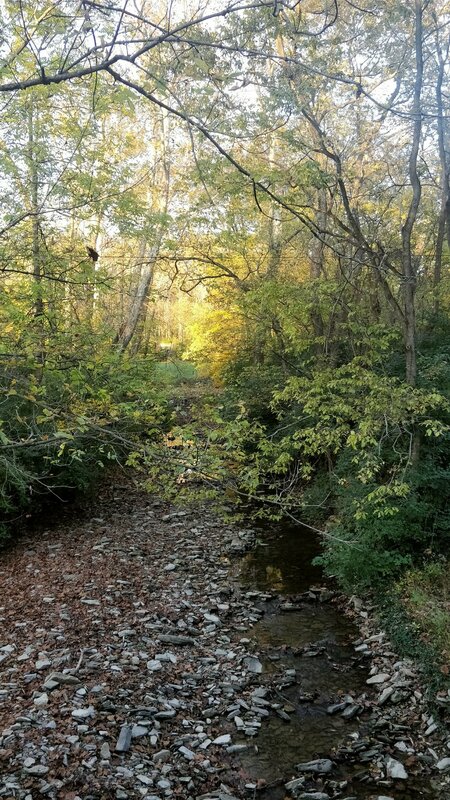 On Friday afternoon I made the first of a few trips down to Devou Park in Covington, Kentucky. 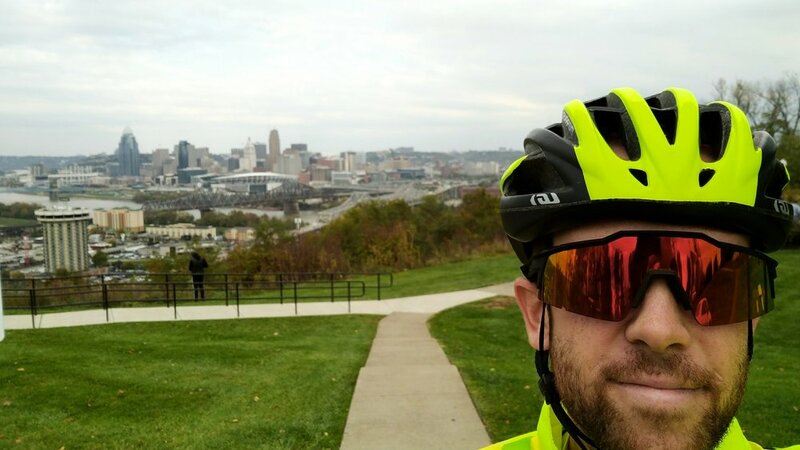 While the race is technically called the "Cincy CX Festival" the first race of the weekend is just across the river in Kentucky and offers some pretty sweet views of the Cincinnatti skyline. 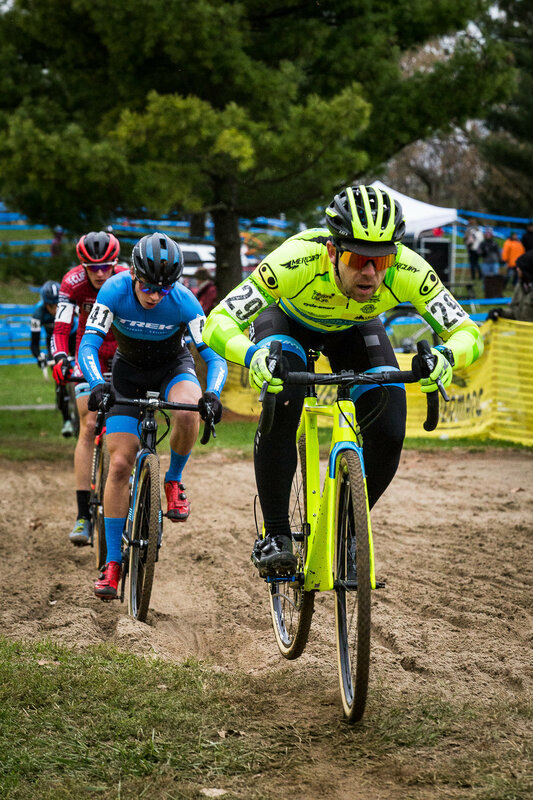 Having raced this track two years in a row at the Pan American Cyclocross Championships, I knew what I was getting myself into. 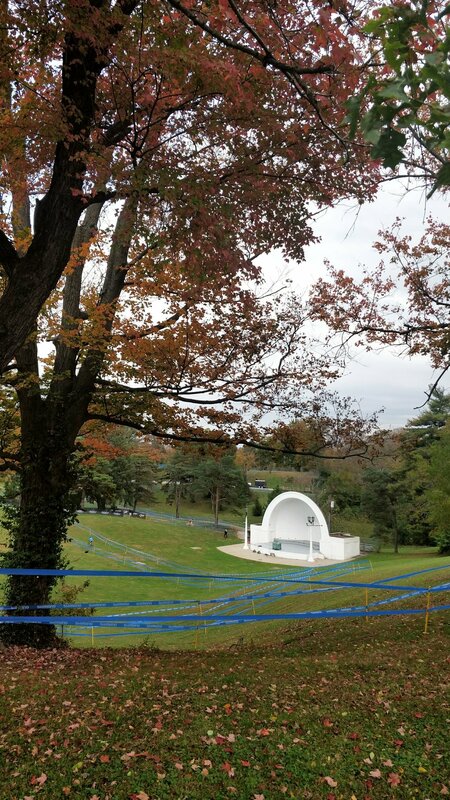 The hilly terrain of Devou makes for a super fun, hold on to your butts, roller coaster ride of a lap. Of course, it's not all fun and games as the course has some sneaky turns and drops that can catch you if you're not paying attention. I was able to get reacquainted with the track and was feeling good going into Saturday's race. That is... until the rain came. Suiting up with pretty much every layer I had in my bag, I rolled a few laps of the course in the pre-ride session. The rain overnight had softened things up a bit and there were now a number of ruts criss crossing in multiple directions. Now more than ever, the race would become a question of who could ride it and who would be forced to run. The field was stacked with all the top riders on the US Circuit. Remember how at DCCX, I was the thirteenth call up and on the second row? Yea, not the case here where my one UCI point put me four rows deep on the grid. The whistle sounded and I got a good start off the line, picking up a few spots into the first 180 turn. Avoiding any nasty crashes or tangles I was able to make it through the first section of the course in a good spot, top 20-ish, as we made our way towards the pits for the first time and down the Pan-Am Plunge. As the name and sign denotes, this drop is something to be seen. In the wet it was even more of a "aim & pray" crapshoot dropping in. While I managed to make it down the drop safely, the ensuing ride ups proved to be run ups, costing me some precious seconds and energy. At the end of the first lap, I was still feeling okay and still in the running for a spot just outside the top 20. Lap 2 came and brought with it a greater accumulation of mud on the shoes and the bike. The soupy mud of the AM hours quickly changed to tacky, peanut butter mud in the afternoon. 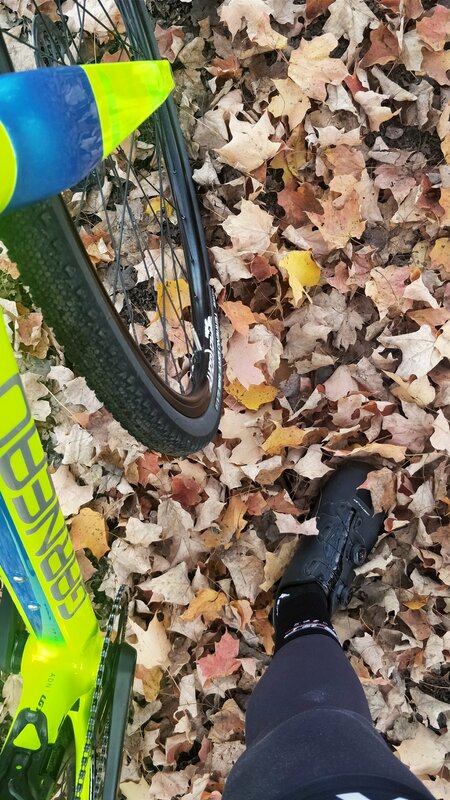 While better for grip, my shoes and pedals started to collect mud from running seven times per lap. The leaders, of course, rode many of the features and increased their lead. Battling with muddy equipment and less than great legs, I found myself being distanced by the blistering pace being set at the front. I came into the pit and grabbed a fresh bike from my amazing pit crew, Brent Evans and Jeff Craft. Shiny new whip in hand, I tried as best I could to close the gap to the riders in front of me and pilot my bike cleanly around the track. Try as I may, luck wasn’t on my side and I was eventually pulled from the race (mercifully), in 30th place. 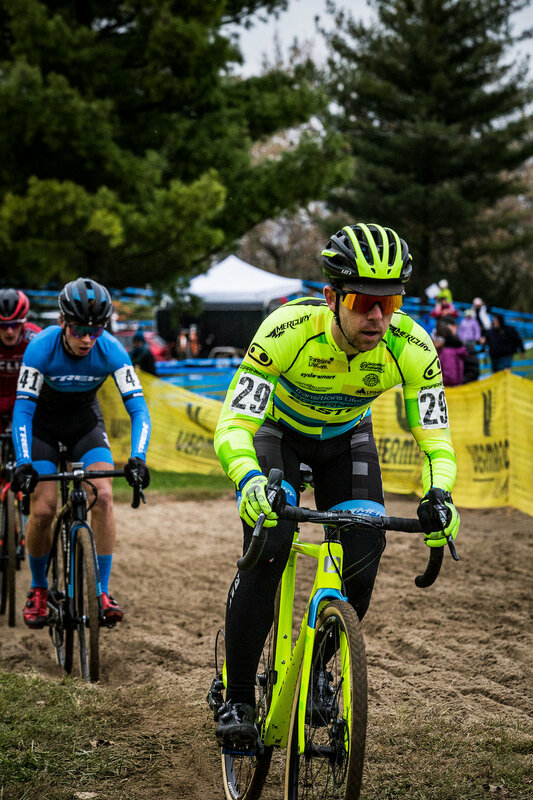 Looking at the results from the race, the top 20 was stacked with well-known names on the ProCX circuit. While I hoped could justify my result in terms of talent level in the field, I couldn’t help but be frustrated with my performance. Fortunately, the Whole Foods Cookie Bar wasn’t far away and after cleaning up, I was able to cater to my physical and emotional need for sugar. Sunday broke and the skies were still cold and gray. Though the rain had stayed away for the night, the ground still offered plenty of mud and moisture. 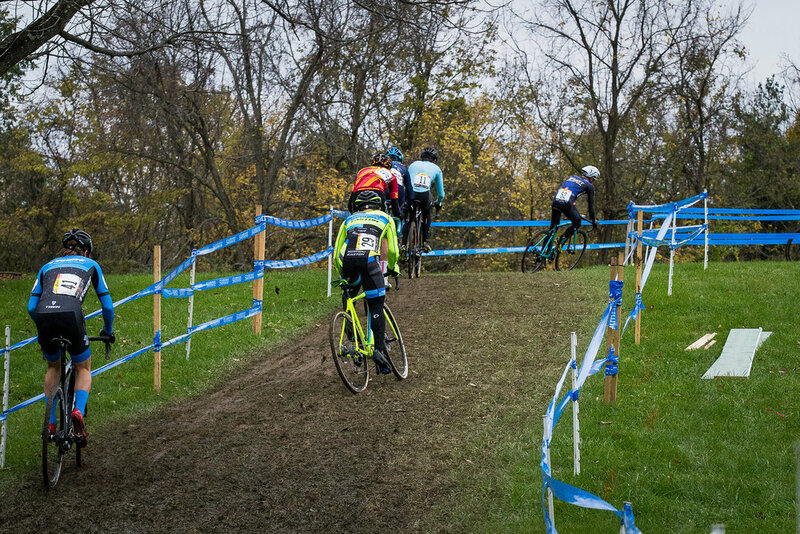 Day 2 marked the return of the Harbin Park venue at the Cincy CX weekend. 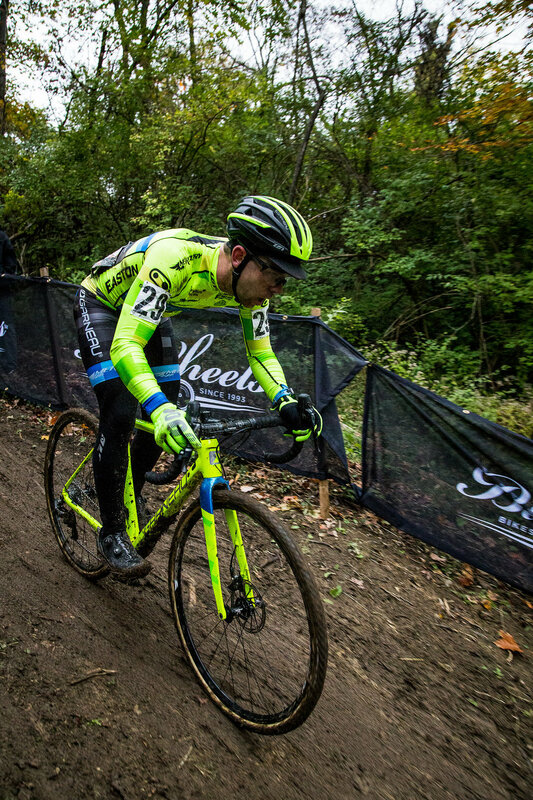 In years past, this race weekend was actually had three days of racing at Devou Park, Harbin Park, and the Kings CX course in Mason, OH. However, the financial powers that be decided to put a road right through the Kings CX course, and 2016 was the final act for this venue. 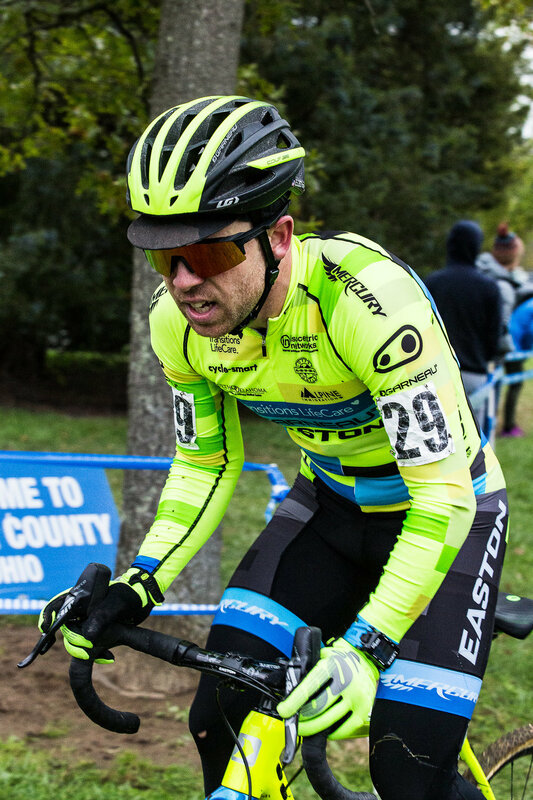 Having only raced this event the previous three seasons, I had never competed at Harbin Park and had no idea what to expect on Sunday! The course itself was vastly different from the track at Devou. Whereas Devou was a roller coaster ride of power and bike driving, the track at Harbin Park was all about power. Fast corners, punchy uphills, and slogging drags through the soft earth meant the day would require strong legs and a fair bit of suffering. Moreover, there were no barriers on course, save for two small logs, so no running was required. Again, I found myself in the middle of the grid in a packed field. The whistle sounded and we bolted up the uphill start/finish stretch to make the u-turn back onto the course. I was trying not to “over-start” and, as a result, stayed relatively conservative for the opening part of the race. Crossing the line to complete lap one, the field was already shredded to small groups of riders, all trying to get back on terms with the blistering pace being set at the front. In my small group, we were content to trade pulls and attacks in some of the power sections. I was in a good place and feeling good, until the third lap. On the long slightly uphill drag towards the finish, one rider attacked and as I stood up to respond, I had no gas left to make the move. Instead, I watched as the group rode away and tried to settle in and limit the damage. The laps ticked down and I was battling with myself to make time on the riders in front of me. Inside of two laps to go, I was with one other rider and we were evenly matched on the day. Passing past pit one, I was feeling confident and driving the pace. But as we made a sweeping turn to head towards the log section, my rear wheel slid out and I found myself on the pavement. The bike seemed fine but as I remounted, I realized that I had bent my rear derailleur hanger. I tried to straighten it by hand as best as I could, then pedaled in one gear for the next half lap. I grabbed a new bike and set off in pursuit with some new fervor. My spill cost me some time and about three spots in the race. With just one lap to go, I chased as hard as I could and was able to make up two spots, but was so gassed at the finish that I didn’t bother to sprint a charging rider and crossed the line in 31st. The race effort showed as I sat in the back of my minivan for 45 minutes staring blankly at the floor as I ate all the edible contents the vehicle contained. While the results weren’t quite what I had hoped for, the consistency of my results was encouraging and I am looking forward to getting back on terms in Louisville next weekend!